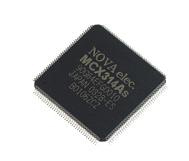 Nova Electronics | Nova Electronics – System Controls Pvt Ltd.
NOVA electronics was founded in Tokyo in 1994. Since then, we have been developing and delivering top range motion control ICs and related products to satisfy our customer needs all over the world. 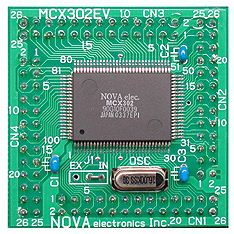 We provide unique motion control chips, PC boards implementing such chips and stand-alone motion control units. In particular, our motion controls ICs receive a high reputation for technology from global customers. 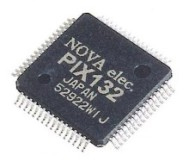 PIX132 is a 32-bit general purpose I/O interface IC equipped with a built-in digital integral filter. 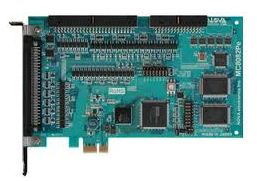 Total of 32 programmable I/O pins: Each 4-bit ports can be independently configured as input/output. Input latch: Data can be trapped at the transition of the rising/falling edge of all inputs. 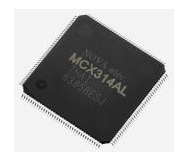 MCX314As is a cost-effective high performance motion control IC designed for stepper motor or pulse type servo drivers with position, velocity and interpolation controls. This intelligent single chip offers s-curve/trapezoidal accelration/deceleration, target position and velocity changes on the fly, built-in 32bit linear/circular interpolation control, automatic home search and built-in integral type filter. MCX314AL offers low operation voltage +3.3V/DC for small power consumption. 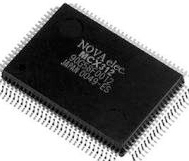 Its functions are exactly same as MCX314As. So it’s cost-effective high performance motion control IC designed for stepper motor or pulse type servo drivers with position, velocity and interpolation controls. This intelligent single chip offers s-curve/trapezoidal acceleration/deceleration, target position and velocity changes on the fly, built-in 32bit linear/circular interpolation control, automatic home search and built-in integral type filter. Every function of the MCX314AL is controlled by specific registers, which are command registers, data registers, status registers and mode registers. MCX312 is an intelligent high performance motion control IC designed for stepper motor or pulse type servo drivers with position, velocity and interpolation controls. Features include s-curve/trapezoidal accelration/deceleration, target position and velocity changes on the fly, linear interpolation including with multichip axes, circular/bit pattern interpolations and built-in integral type filter. 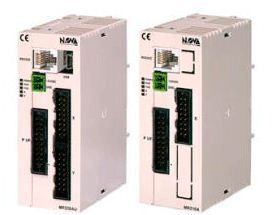 Every function of the MCX312 is controlled by specific registers, which are command registers, data registers, status registers and mode registers. 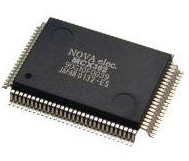 MCX304 is a high performance low-cost motion control IC designed for stepper motor or pulse type servo drivers with position and velocity control. Features include s-curve/trapezoidal accelration/deceleration, target position and velocity changes on the fly, built-in integral type filter and automatic home search that automatically executes a home search sequence without CPU intervention. Every function of the MCX304 is controlled by specific registers, which are command registers, data registers, status registers and mode registers. 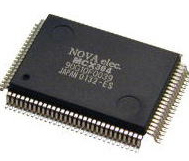 MCX302: 2-axis motor control chip for stepper motorsMCX302 is a high performance low-cost motion control IC designed for stepper motor or pulse type servo drivers with position and velocity control. Features include s-curve/trapezoidal accelration/deceleration, target position and velocity changes on the fly, built-in integral type filter and automatic home search that automatically executes a home search sequence without CPU intervention. Every function of the MCX302 is controlled by specific registers, which are command registers, data registers, status registers and mode registers.